09.12.2012 Manchester, England. 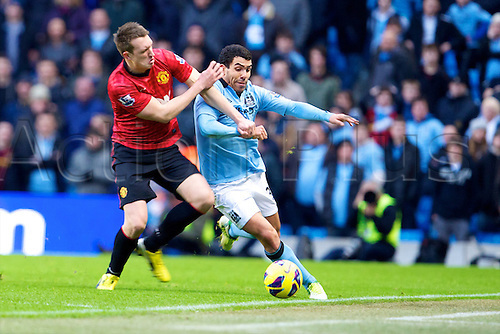 Manchester City's Argentinean forward Carlos Tévez and Manchester United's English defender Phil Jones in action during the Premier League game between Manchester City and Manchester United from the Etihad Stadium. Manchester United scored a late winner to take the game 2-3.